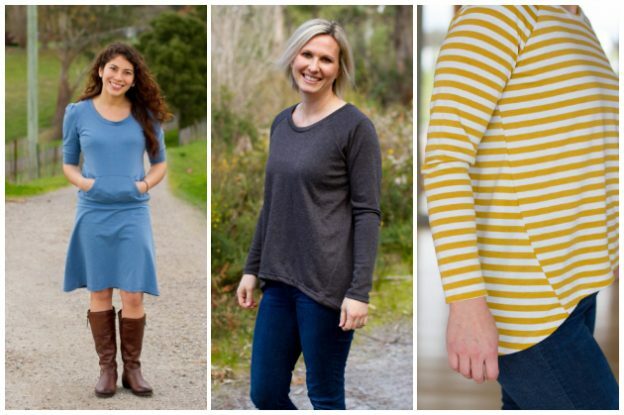 The Raglan Twist Top from Make It Perfect patterns is a funky twist on the classic raglan top. Playful twisted side seams, extending to the front of the top, give the Raglan Twist Top a super-flattering shape making it easy to wear for every body size. Experiment with different colour and pattern combinations, throw on with skinny jeans or a straight skirt and the Raglan Twist Top will fast become your new go-to! 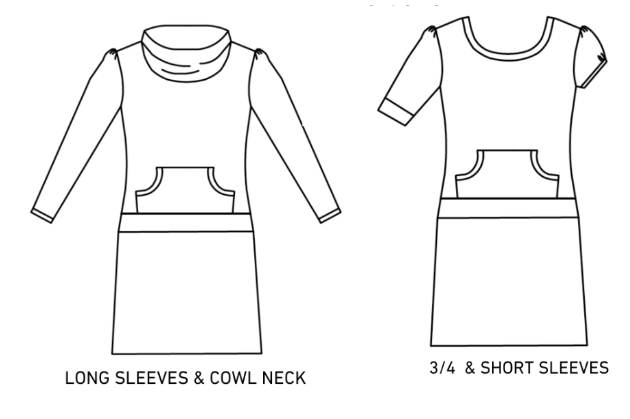 With short, three-quarter or full-length sleeve options you can decide whether to finish the sleeves by adding cuffs or simply turn up the sleeve hems. 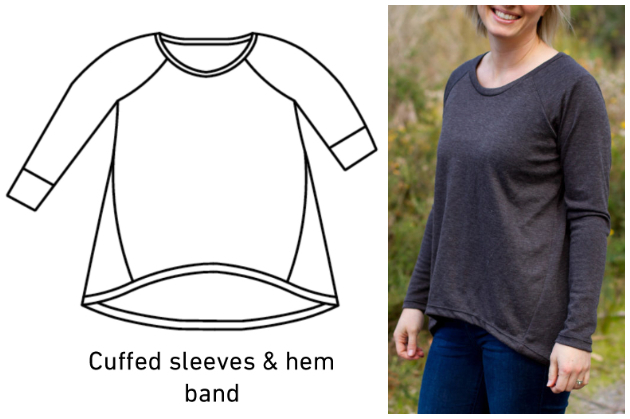 The Raglan Twist Top also includes instructions and pattern pieces to finish the hems with either fold-under hems or bands, so there is plenty of choice depending on what fabric you are using and what look you want to achieve. 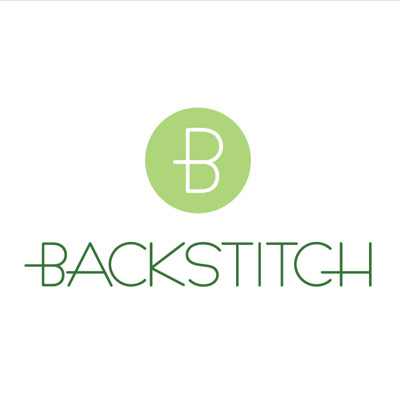 The Raglan Twist Top pattern is designed for use with stretchy knit fabrics such as jersey or french terry knits that have a really good recovery and a soft but heavy drape. The Atelier Brunette french terry fabrics are really soft and lush. 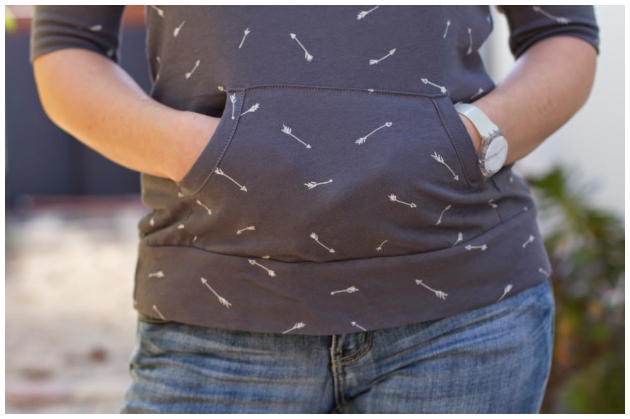 If using a bulky knit with little stretch then the top won’t be as snug fitting, but that’s no bad thing. The neckline might sit slightly wider as there isn’t as much elasticity in the fabric to pull it back in. 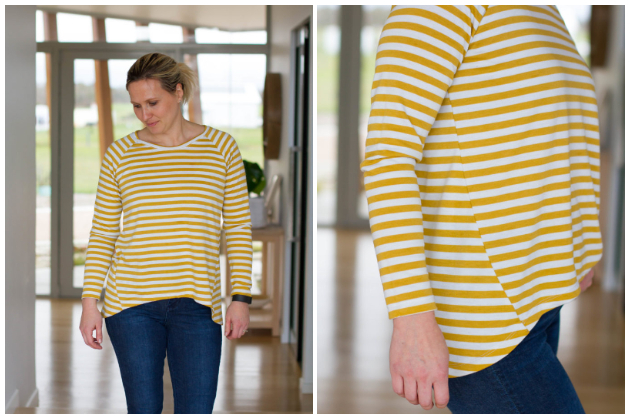 As you can see in the stripy yellow sample, it is close to impossible to match side seam stripes when sewing the Raglan Twist Top – so if you can’t handle un-matched stripes then give striped fabric a miss with this one! But I’m pretty sure no-one will notice. 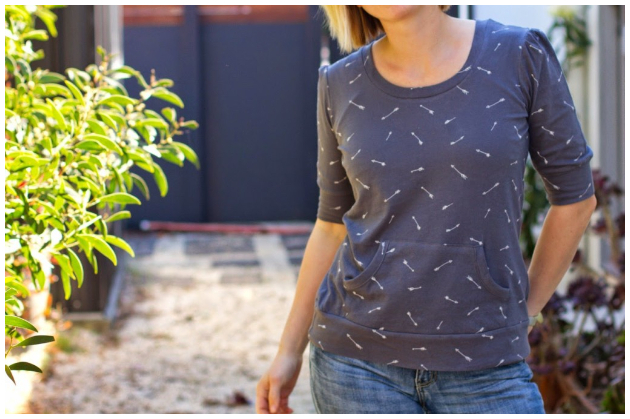 In summary, the Raglan Twist Top is a super fast sew that feels pretty and feminine and is practical for all of the bending down and running around Mum-duties that other tops may restrict! The dramatic twisted side seam also allows you to play around with mixing and matching different colours, prints and patterns to create one-of-a-kind tops you won’t find anywhere else. The Make It Perfect Skippy Dress is another fabulously flattering and extremely comfortable everyday pattern, designed to be made with your favourite stretchy knit fabric. Pretty, gathered sleeves in a choice of three lengths, a strategically placed pouch pocket, optional cowl neck and a feminine, swingy skirt make it almost irresistible. The waistband can be worn low on your hips or high on your waist, depending on how fitted you would like the top of your dress to be.